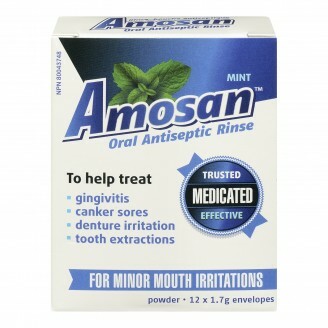 The Amosan Oral Antiseptic Rinse helps treat gingivitis, canker sores, denture irritation, tooth extractions and more. Use this Amosan product to protect your teeth while freshening your mouth with the flavour of fresh mint. Adults and Children (6 years and older): Dissolve contents of envelope into 30 ml (1 oz) of warm water. Swirl solution in your mouth in two separate rinses of 30 seconds. Expel oral rinse and do not eat or drink for 20 minutes. 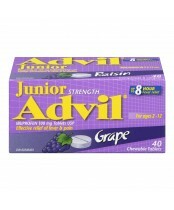 Use 3 times daily after meals or as directed by your dentist or physician. DO NOT SWALLOW.